We’d love your help. 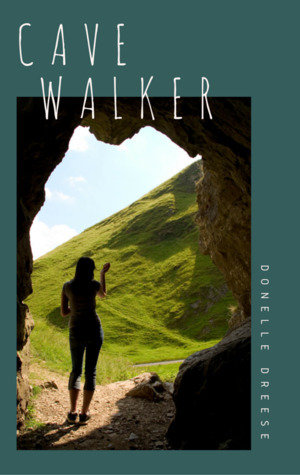 Let us know what’s wrong with this preview of Cave Walker by Donelle N. Dreese. Cave Walker t How far would you go to save the life of someone you love? Would you face your deepest fears? Would you walk into the dark belly of the bedrock Earth and rest your head on its bouldering fangs? Twenty-four year old Gillian Berry enters the haunting, narrow corridors of the Cave of Desperate Cries to save Neil Foster’s life, but discovers she must save her own. To ask other readers questions about Cave Walker, please sign up. "How far would you go to save the person you love?" This is just one of the questions that haunts Gillian Berry, the young woman who is the main character and narrator of Donelle Dreese's eco-novel, "Cave Walker." Gillian's estranged from her father, has a troubled relationship with her mother, and avoids getting close to people. She works as a cook at her mom's Maine B&B, where she meets and falls in love with Neil Foster, a guest who works for the Coast Guard doing important tasks such as "How far would you go to save the person you love?" This is just one of the questions that haunts Gillian Berry, the young woman who is the main character and narrator of Donelle Dreese's eco-novel, "Cave Walker." Gillian's estranged from her father, has a troubled relationship with her mother, and avoids getting close to people. She works as a cook at her mom's Maine B&B, where she meets and falls in love with Neil Foster, a guest who works for the Coast Guard doing important tasks such as cleaning up oil spills. Gillian has a vision of Neil's drowning death. All the women in her family possess this "knowing." Gillian's grandmother Celica, a storyteller nicknamed "Old Swan," tells Gillian about the Cave of Desperate Cries, where people go for help. Despite Gillian's claustrophobia, she embarks on a journey to try to save Neil's life. In the process, she begins the discovery of who she is—a cave walker and a healer—who tries to heal her family's ancestral pain. In this moving story, we travel with Gillian to meet ancestors and even the photographer Dorothea Lange, to such times and places as the ocean and mountains, The Allagash Wilderness, Perryville, Kentucky during the Civil War, the dust bowl, and Halo Cave in the Maldives. Donelle Dreese's "Cave Walker" is full of stunning imagery, emotional intensity, and a deep connection and reverence for the natural world.